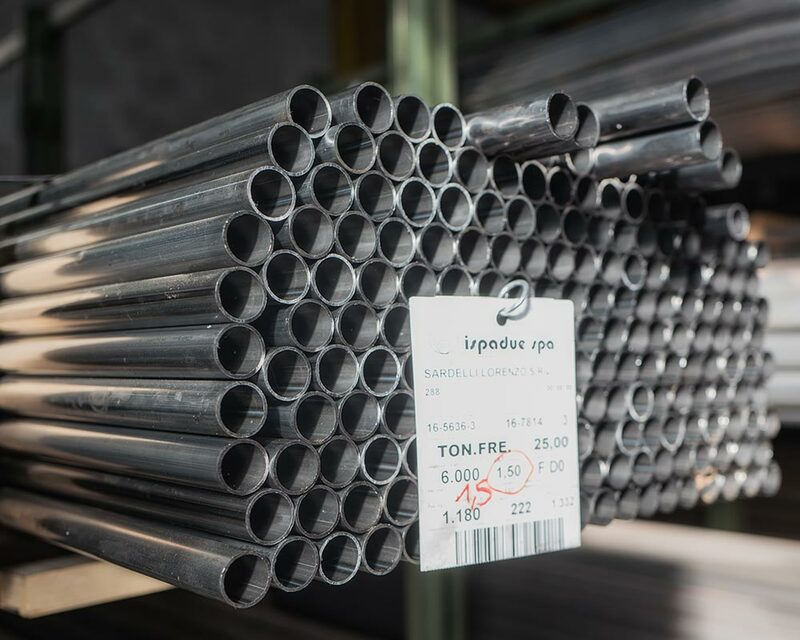 The modernist designers chose 1 inch thick cold drawn steel tube because it was a widely available and cheap material. 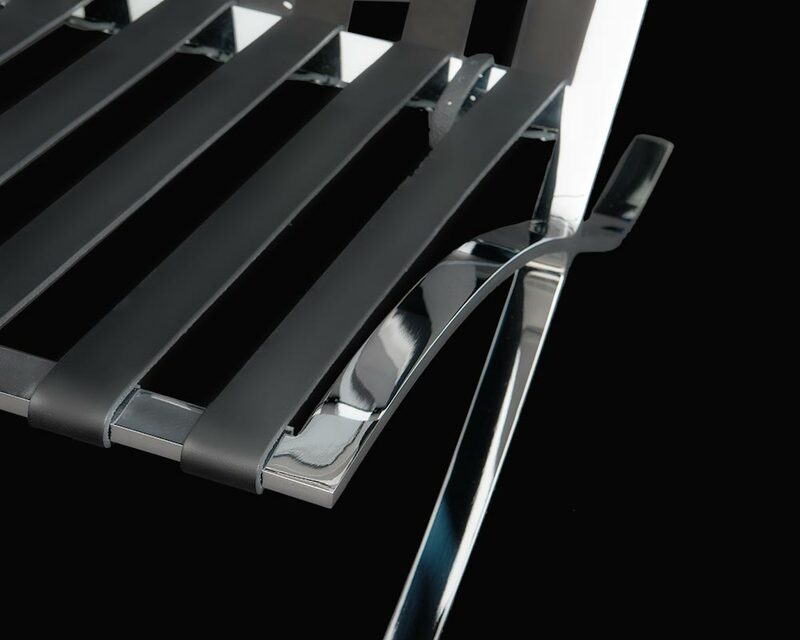 So far nothing beats our good old chrome plated steel when it comes to durability and finish. To achieve equal results using proper stainless steel and adequate processing would cost three times more. Steel is paid by weight and stainless steel is expensive. This is why asian producers us thinner gauge tubes. The furniture is not only much lighter, but equally it may bend or break over time. this term widely used but a bit misleading. After painstaking cleansing and degreasing, the steel receives a two coatings of nickel, before finally being chrome plated to a thickness of 30 micron. 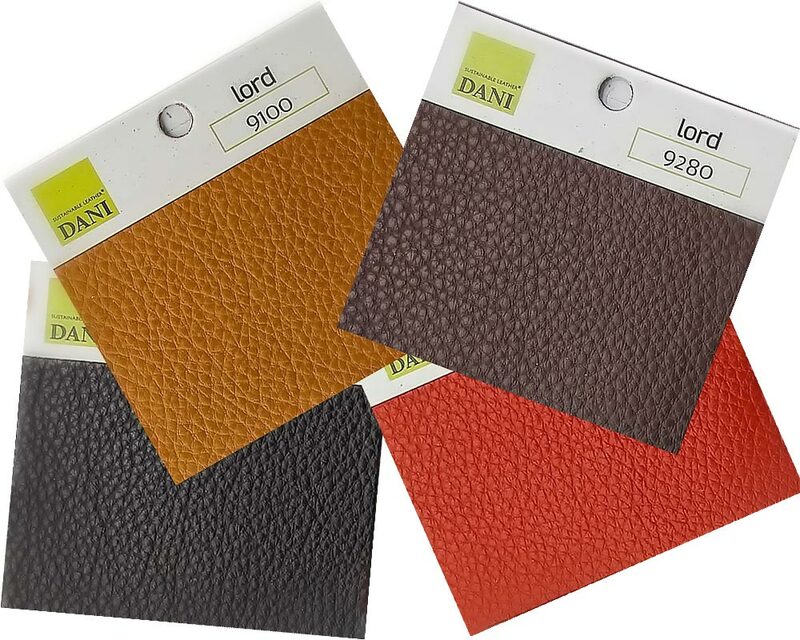 The leather we are using is processed by the renown Italian tannery DANI SpA, who among others provides the leather interiors of prestigious sports cars and yachts. Lord is a full grain leather that gives the sensation of a natural grain. Full and rich hand creates a fluid motion to the article. The touch is delicate. The quality of this leather is primarily linked with the raw material, it begins by selecting the best European hides for then be enhanced by the tanning and the processing carried out entirely in Italy. Battling for competitive prices has led to an enormous creativity in inventing different leather qualities and to much confusion on the customer side. In the end it all comes down to the same: Only a realtively small part of a bovine hide can be used for processing natural furniture leather. 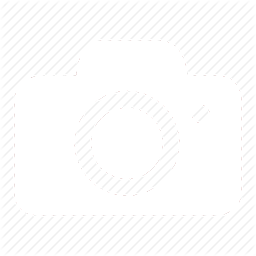 The graphic shows the different parts of a cowskin, where only the bit which is marked as « croupon » is good enough. The neck/shoulder bit has strong horizontal wrinkles and the belly parts are too narrow. Moreover, only the croupon of european bovine hides is tall enough to allow cutting large parts like the mattress of the LC4 Chaiselongue from it. Apart from being much smaller, south american hides show too many scars from insect bites and fences to be suitable for high quality leathers. Natural grain is the real deal! High grade leathers are made from the TOP GRAIN side and will show the naturally grown texture of the skin, including the variations in grain and small imperfections. They have a soft touch and an opaque shine. These qualities are widely called: ANILINE LEATHERS. They can only be processed from more or less flawless hides and therefore are expensive. 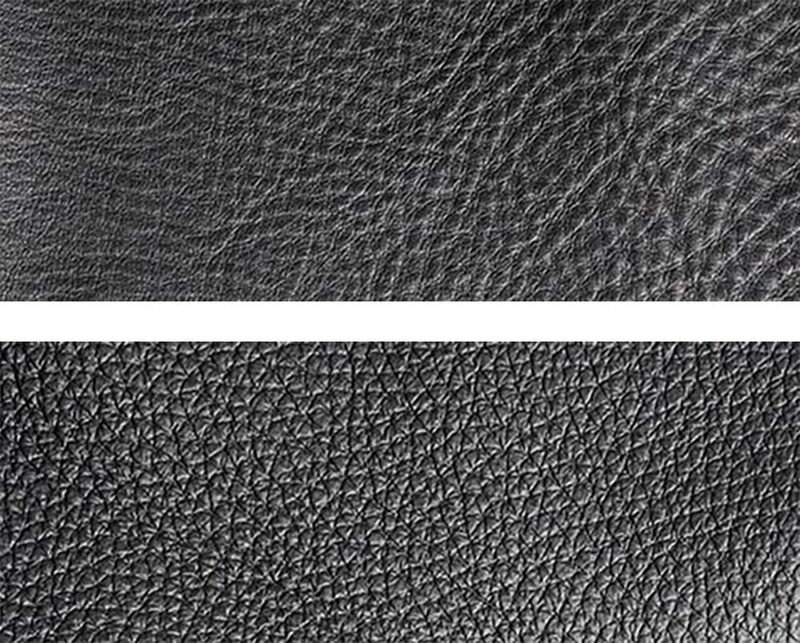 Top right picture shows a natural grain leather. Below a semi aniline leather with its more pronounced and regular grain. The aniline leather on top is showing the natural pores of the skin, thus keeping its breathablity and warm touch. 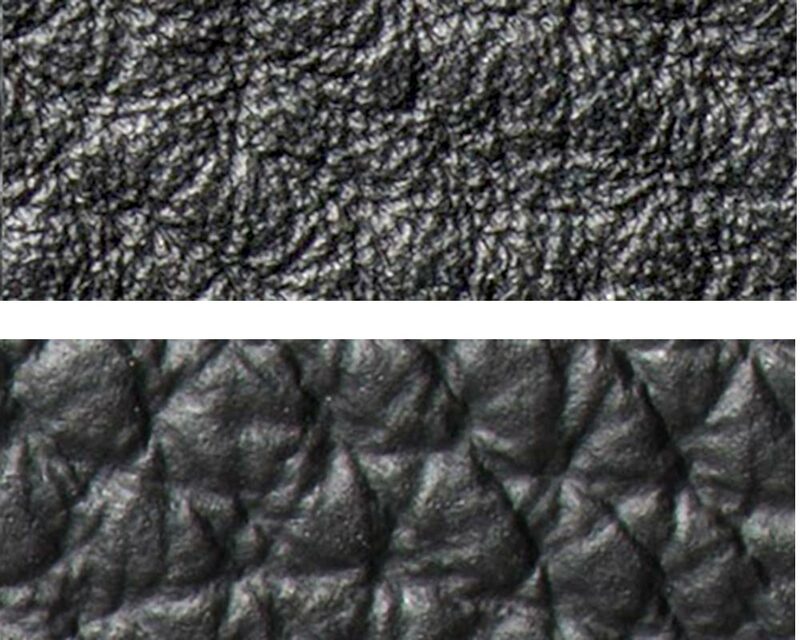 The pigmented leather below has lost all its natural properties and feels more like plastic. This is what Chinese competitors are selling as ITALIAN LEATHER. It is a very thin split leather with a strong pungent smell and unpleasant touch. We would not even dare calling this leather.